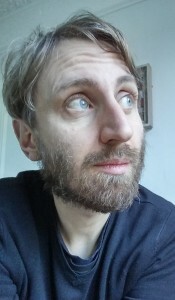 Joe Goodden is a second-generation Beatles fan, a journalist, a blogger and paperback writer living in Cardiff, Wales. Formerly a senior online producer at the BBC, he is a music lover and founder of the Beatles Bible website. “Riding So High: The Beatles and Drugs” is Joe Goodden’s first book. OldiesMusicBlog: How long did it take to write “Riding So High: The Beatles and Drugs”? Joe Goodden: I started writing the book in 2012, and really had no idea what I was getting involved in. At the time I was working at the BBC as a web producer, and wrote whenever I had some downtime at work or home. I wrote about half of it over five years, and finished it in a five-month burst of activity after leaving the BBC at the end of 2016, which gave me the distraction-free focus I really needed. I decided to self-publish the book, which gave me complete editorial control, allowed me to set my own royalty rate, and ensured it would never go out of print. It also meant that I had to do all the editing, formatting, marketing, and commission the artwork. I had some experience in all those areas, but I’d never single-handedly tackled a project on this scale before. OMB: The bibliography is so vast and the information is so well organised throughout the book. Where did it all come from? I’ve always devoured Beatles books, and have a fairly large library. I also have various newspaper and magazine cuttings. For this, though, I had to delve into police, court and parliamentary reports, plus books, journals and research papers on drug use, and various non-Beatles biographies that helped provide different snippets of information. Even now I’m stumbling on new material that I wish I could have used! OMB: How did you decide to write about The Beatles’ drug experiences in your first book? This is a controversial issue. Why not something else? In 2008 I started a website, the Beatles Bible, which was a place to shove all the trivia that had been rattling around my head for years. One of the features I wrote early on was about The Beatles and Drugs, which felt like a subject that deserved to be investigated. It became wildly popular and has always been one of my top ten most popular articles. I’ve lost count of the number of students that have asked for my details to cite it in their studies. Like many people, I’d always wanted to write a book – in my mind it was a small chance to attain a degree of immortality. When I was casting around for ideas I realised that I already had a subject that people wanted to read about, on which I still had more to say. What’s more, it was a subject that nobody else had thought to tackle in a book, which is increasingly rare for The Beatles nowadays. From then on I just had to knuckle down and write the thing! Drug use is a controversial issue to some, but I always wanted to approach it objectively and factually, without any attempt at sensationalism. Drugs were important to The Beatles, and it’s a valid subject for discussion. If I hadn’t done it, I’d have hoped that someone else would. OMB: When doing the research for this book, were there any new findings about the Beatles that really stunned you? I’m not sure anything really stunned me about The Beatles’ drug use, because I was already fairly well versed in the story. But I did discover a lot about the relationships between the government, aristocracy, press and police – a series of connections perhaps exemplified by the famous Rolling Stones drugs bust at Redlands, and the subsequent court cases. There was also the case of Lady Isabella Frankau, a script-happy London doctor who prescribed a huge amount of heroin to addicts in the 1960s. She believed a controlled, legal supply was the best treatment for addiction, but she inadvertently helped usher in a flourishing black market. She was a fascinating character who probably deserves her own biography. OMB: I found the book pretty objective and I could’t figure out who is your favourite Beatle. Could you tell us which one you admire the most? When I was an angry young man I particularly loved John’s attitude and raw energy – it appealed to my rebellious teenage nature. Now I’m boring and middle aged and don’t really have much time for favourites, but I have much greater admiration for what George and especially Paul achieved. Their growth as musicians was extraordinary. OMB: When did you start to enjoy Beatles’ music? What were the first songs you related to? I was born in 1976 – my mother saw The Beatles live a couple of times, and gave me her old vinyl records and fan club flexi discs. I fell in love with the band in 1990 – the first song I properly listened to was A Day In The Life, and from then I was hooked. That’s my own personal addiction, but I can’t see myself ever detoxing. OMB: Now, what is your all time favourite Beatles’ song? What about your favourite album? Ah, as I said earlier I don’t really have favourites – most of what they did was remarkable for different reasons, and because they changed so much it’s difficult to compare. From the early years I love the album A Hard Day’s Night – the songwriting and production were so incredibly solid, and the accompanying film and image were just perfect. From the later years I tend to return to Abbey Road the most. I also have two young children, and we watch Help! and Yellow Submarine together often. It’s a joy to share these things with a new generation of fans. OMB: When did you start to write on The Beatles Bible? Why? It began in 2008 because I was frustrated with my day job and wanted to do something creative with my time. I was a writer/producer at the BBC, and had been making websites for years. I also knew loads about The Beatles, but for some reason it never occurred to me to put it all together. The Beatles Bible was conceived as an escape route, but sadly the anticipated millions never really arrived! It does OK, though, and today it’s my main project. OMB: Did you ever meet one of them? I met Paul and Linda McCartney when I was 16, when I blagged an invite to a private view for Linda’s book Sixties. I also got Paul to sign my Sgt Pepper CD. It was on what would have been John Lennon’s 52nd birthday, which made it sweeter. I was even interviewed by my local paper about it! I’ve not met any others, though I was at the Casbah Coffee Club in Liverpool when Pete Best was upstairs. I wish I’d asked to meet him. And I attended an event in 2010 where George Martin was speaking. Paul was also in the audience, though sadly I didn’t get to talk to him or George. OMB: Did Paul and Ringo’s staff contacted you after the arrival of this book? I definitely consider it an important milestone in the series of Beatles’ biographies. I purposefully didn’t contact anyone official about the book before publication, because I didn’t want to get an injunction or legal warning. Fortunately The Beatles and their friends had gone on the record quite extensively about the drug use, so I knew there was little chance of being sued for defamation once it was out, but that didn’t necessarily mean they’d approve of the book. I’m not in contact with Apple anyway, but I hope they realise I wrote it with good intentions and wasn’t out to smear anyone. I did request interviews from several people connected to the band. Some accepted, some politely declined, others spoke off the record, and one person – who I’d long admired – brusquely said: “I have nothing to say, and even if I did I wouldn’t say it to you.” That was a memorable rejection! OMB: Speaking about the Beatles’ biographies, what are your favourite books written by The Beatles or about The Beatles? What would you recommend to a Beatles’ fan? Anything by Mark Lewisohn and Derek Taylor is guaranteed to be splendid. Like most Beatles fans I’m impatiently waiting for Mark to publish the rest of his incredible All These Years series. As for Derek Taylor, he wrote an autobiography called Fifty Years Adrift, which covers the Beatles years with his typically irrepressible wit and joyous prose, and has contributions from George Harrison which aren’t available elsewhere. It was published in 1984, signed by Derek and George, and only 2,000 copies were made available. 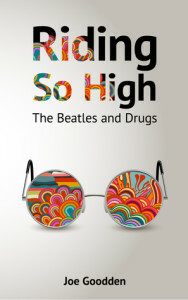 I borrowed a copy while writing Riding So High, and it’s probably the Beatles book I love more than any other. I hope that one day it gets republished – it deserves to be widely read and cherished. OMB: Will you write a second book? Will it be Beatles-related or not? I have had a couple of other book ideas, but they’re only partially related to The Beatles. At the moment I’m working on a new website, about another artist, which I hope to be launching later in the year.